Can my employer fire me if I’m pregnant? The short answer is: NO. Your employer cannot fire you if you are pregnant. And, to that end, in Minnesota your employer also cannot place you on an involuntary, unpaid leave when it finds out you are pregnant. Under both state and federal law, an employer is not allowed to discriminate against you because you are pregnant. But what does discrimination look like? Day 1: You tell your employer your pregnant. Day 7: For the first time in your 3-year employment, you are written up for something no one else ever gets written up for. Day 10: You receive another write-up for something that doesn’t make any sense. Day 15: Your employer terminates you. The discrimination we see in our offices is much subtler than perhaps it used to be. First: ALWAYS take notes. Keep a small notebook with you at work or keep a document easily accessible on your phone. Write down the dates you have important conversations, like when you tell your boss you’re pregnant. Write down who is in the room when these conversations happen. Write down where the meeting occurred and at what time of day. Write down what you remember being said. Notes from the actual day something happened are always more powerful than notes coming from your memory. Thank you for taking the time to meet with me today and discuss my exciting pregnancy news! I appreciate your support. I just wanted to make sure I understood everything you said today. [Briefly recap your conversation]. If I misunderstood anything, or if you find out new information, please let me know! Third: Listen to your intuition. 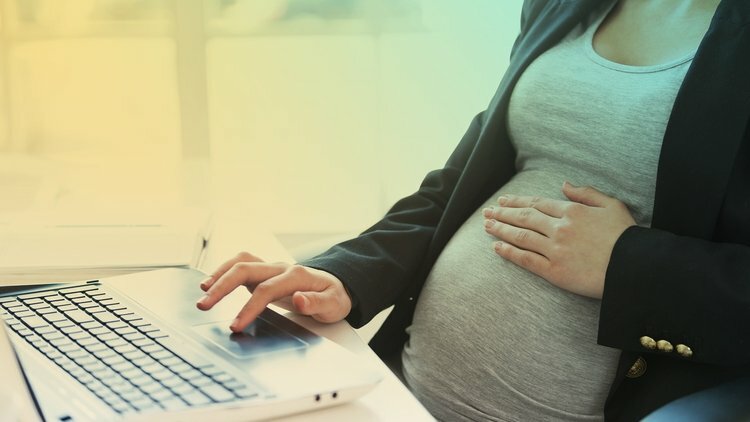 If you feel like you are being discriminated against because you are pregnant, there’s no shame in calling an attorney to figure out whether your employer is breaking a rule. Conversations with attorneys are strictly confidential and, if you call Madia Law, our initial consultation is free. Your employer also cannot fire you because your pregnancy is causing you to suffer from a health issue that may require an accommodation. More restroom, water, and food breaks. A spot to sit, whether or not your job usually allows you to sit. Additionally, employers cannot fire you for not being able to lift more than 20 pounds – they must accommodate your need either to abstain from lifting more than 20 pounds or your need for help when lifting more than 20 pounds. However, let’s say your pregnancy is causing you to suffer symptoms that cannot be solved by the above accommodations. Can your employer fire you then? Again, the short answer is: NO. Instead, your employer must engage in what’s called an interactive process. This means, the employer must have a discussion with you about your medically necessary (meaning, you have a doctor’s note) work restrictions and your job description and figure out with you whether or not things can be done to accommodate those restrictions. For example, let’s say pregnancy is causing you to suffer from frequent migraines. Your doctor writes you a note telling your employer that these migraines would be less frequent if you were granted more breaks from staring at your computer and if you could work in a dim workspace. First, take this doctor’s note to your supervisor. Tell them that pregnancy is causing you to suffer from frequent migraines and that the doctor said these things would help. Then, your employer should have a conversation with you about how the employer may be able to help accommodate your needs. Pregnancy is an exciting experience! Sometimes it can be an all-consuming experience. But your pregnancy shouldn’t cause you issues at your job – the law helps make sure of that and protects you.